So I’ve been busy! This year I’ve really dug into a new hobby. Must learn all the fiber arts! I’m working on my drop spindle skills. 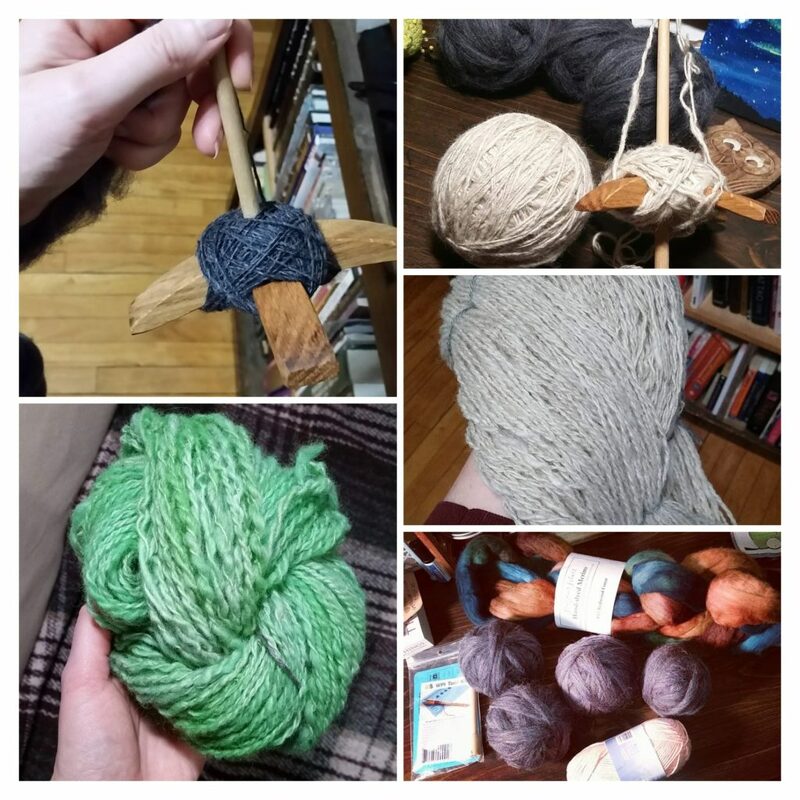 I finished and dyed my first skein of yarn. I’m now working through my second batch of wool. I already have a later batch of wool for after that because it was beautiful and I couldn’t resist. Below is a bit of a snapshot of my new hobby growing. Maybe one day I’ll have dyed yarn for people to purchase. So many possibilities! On the design front I have made a few new guys. All of which will be at the bout on March 30th. We have a Totoro kid, No Face, bats, and platypuses. There is more new things to come for that event. You will see my shop go in vacation mode soon so I can pump out as much as I can. Anything left afterwards will be available in my shop. 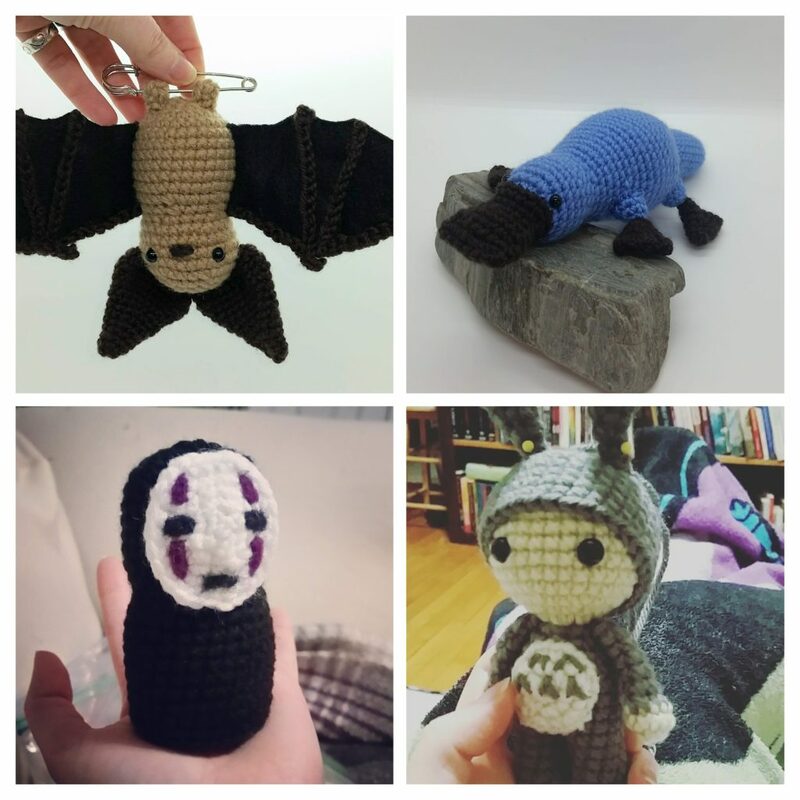 Bats, Platypus, No Face, and Totoros! Oh My! So I’ve been laying low for the holidays. So much work was done that I needed a break so I wouldn’t get burnt out. There were 6 poppets sold and gifted, 2 pairs of skull gloves, an octopus pin cushion and a set of poi. It was a fruitful season for me. I’m already making plans for the new year. It’s hard to not start now. I’m plotting 3 vending events for the year and lots of designs are popping in my head. You all make it so fun to create. Also plan to nurture my drop spindle skills. What are some of your 2019 plans? 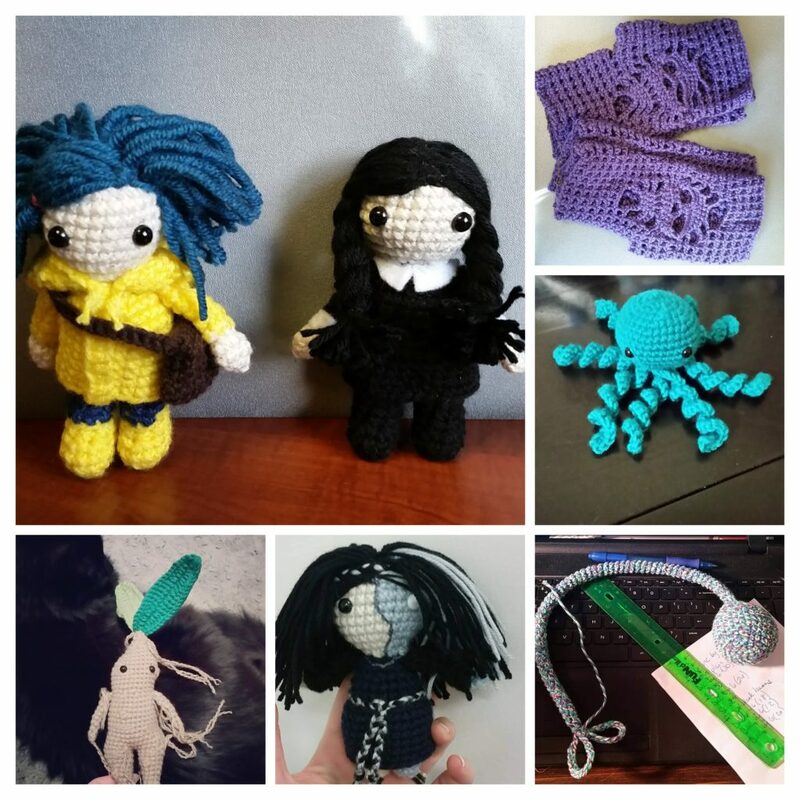 Coraline, Wednesday, skull gloves, octopus pin cushion, mandrake root, Hel and poi.